Casas de Zapatierno is a traditional mountain house has been restored to provide 3 apartments for 4 people, each one with an independent entrance. On the ground floor there is a living room- kitchen with a chimney. The kitchen is fully equipped. On the first floor is the main bedroom with a double bed, built-in wardrobes and a balcony on the main facade. The bathroom is next to this bedroom. The top floor is a large attic room with a wardrobe and two individual beds. The three apartments have the same distribution. The bedrooms have floors made of parquet. The facade is south facing. The houses are surrounded both by a wide garden of natural prairie as well as woods for your own enjoyment. 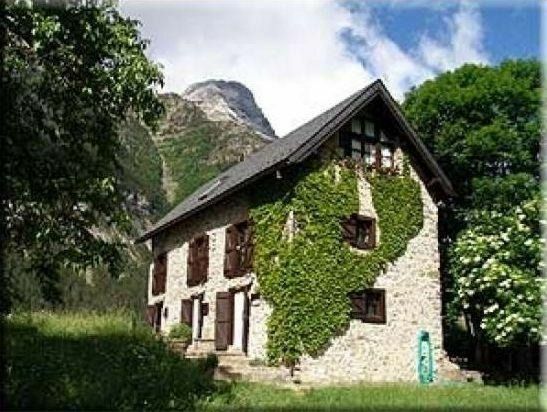 From the houses we have an unbeatable panoramic view of the massif of Monte Perdido and of the mountains of the Tucas. The houses invite relaxation and tranquillity since only the silence can be felt.